belmintproducts has no other items for sale. 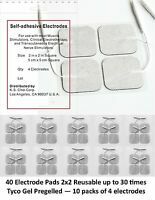 SPECTRA 360 ELECTRODE CONDUCTIVE GEL( 60Gram)( 2 oz. )(NEW) Free Shipping!! Will usually ship within same business day if paid before 07:45 PDT (excludes weekends and holidays). Expected ship time may vary and is based on seller's order cut-off time. grazie mille ciao civediamao piu presto"
Great price with fast shipping!!! Seller is highly recommended!!!!! Okay. Best. Thanx. First class. Terrible, Two of them I ordered didn't work ! Pain in joints or back? GET THIS!! The unit comes fully equipped with the unit and 4 pads as well as two attachments to attach to the unit as well as the pads. The settings take some getting used to but the results are amazing! I have both fibromyalgia and slipped disks in my lower back. This unit has helped so much with the pain! It's unbelievable! The package was brand new! Well worth the price as well! The unit comes ready to use with 4 AAA batteries so you don't have to get batteries to use it right away. I did try this on my wife who also has fibromyalgia and she is a bit sensitive. It does feel like little needle pins on your body but there are other settings too. 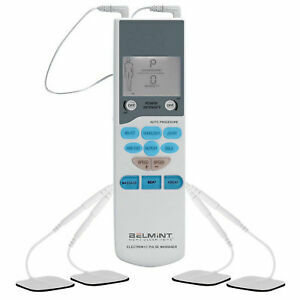 A massager setting, etc. You just have to adjust the speed for what you need. Overall, good product! I'm impressed! Works great, just a couple minor issues. Works well. Some contacts are more powerful than others. Made of plastic, looks cheap, but works just fine. Pretty powerful, too. My only concern is that the pads don't stick as easily and I wish they included an additional plastic pad holder to place the other two contacts for storage. Not bad. Only negative is the power adjustments can be inadvertently moved/changed while in use. So use when at rest - not while moving about. Otherwise plenty strong and good value. I am a chiropractor and have bought this unit for patients with chronic permanent pain syndromes. Works well, very powerful - if desired. Nicely designed with multiple setting options. Does relieve pain, not permanently, but for a while. Would like a constant "on" TENS setting, but several adjustment and setting buttons allow you to basically program it to your liking. Two sets of outputs is a great feature. Not sure of durability of unit (recently got it), but since I also bought the product coverage (separate offering, less than $2) I'm not worried. Would like larger images on the display screen... but mostly because my eyes ain't what they once where. 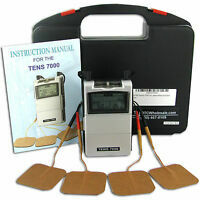 My Chiropractic Doctor was pleased to hear I got a TENS unit. Why not? You can get office level TENS service at home or on the road, when you want it. I bought this product with the intention of using it on myself due to a auto accident injury. It is made from good quality material. Unit itself is easy to use with all buttons clearly labeled in English. I would definitely recommend this product to all my friends and family. Shipping was faster than expected.